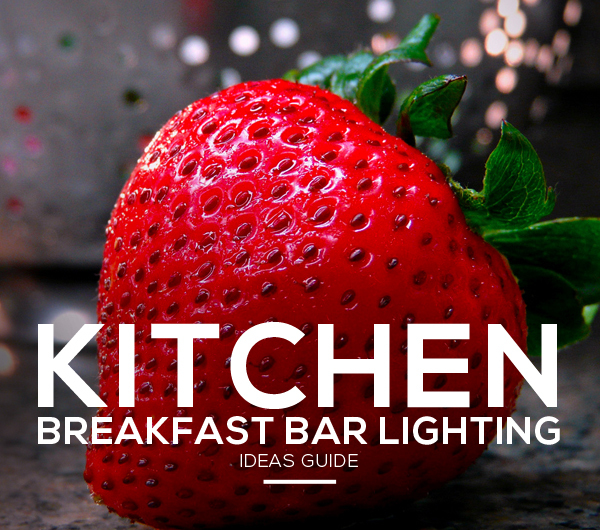 Since they are long and skinny, the best breakfast bar lighting ideas would be pendant lights. These can be individual pendant lights, or track lights where a number of them hang down. There are also pendant lights that are adjustable, so you can pull them closer to the countertop when you need them, and push them up when you don’t. Track lights are great because they only need one electrical outlet in the ceiling. They can come as angled light fixtures as well as hanging lights. These angled track lights are a great lighting idea for kitchen bars, as they can be angled up and down the whole length of the countertop. One of the ideas we wrote about for our kitchen island lighting post, is to use a kitchen chandelier. These can be in the more rustic style, with only two or three lights instead of the traditional crystal chandeliers. These can also act as pot hangers too. For more ideas have a look at our post on kitchen island lighting ideas. You can find all of the Lamps Plus chandeliers here. Alternative kitchen bar lighting ideas include using a single drum light over the center of the breakfast bar. Recessed lights are common in modern homes, and these can be used too. They do not bring light down from the ceiling, like pendant lights or track lights – and using them all over the kitchen can make the space look dull. If you have an electrical socket installed onto the bar, then a lamp could also be a suitable lighting idea. A dimmer switch is a great idea as it allows you to have bright lighting for task based activities like preparing food, and dim lighting when you want a cozy and comfortable kitchen setting.